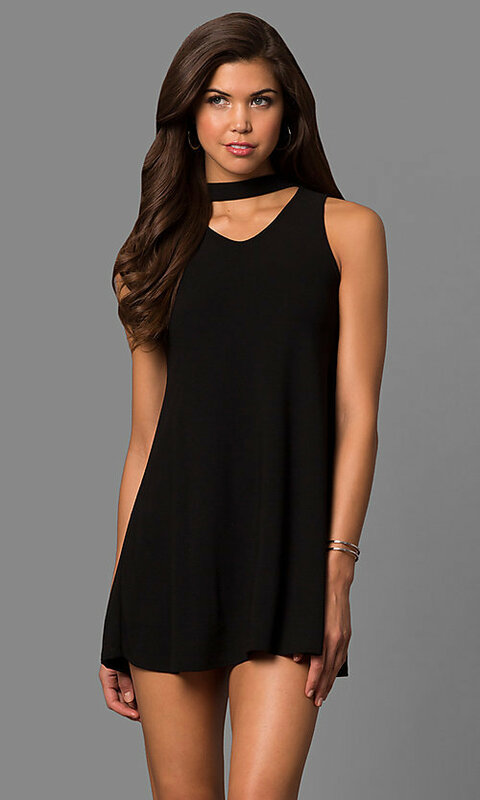 Slip into this short shift dress that features a statement-making choker collar. The breezy easy-to-wear mini day dress has a sleeveless v-neck bodice. This short party dress, made from a comfortable jersey-spandex fabric, is ideal for a cruise or a casual day walking through an island market. Reasonably priced under $100, this short casual shift dress offers comfort, up-to-the-minute style and affordability.